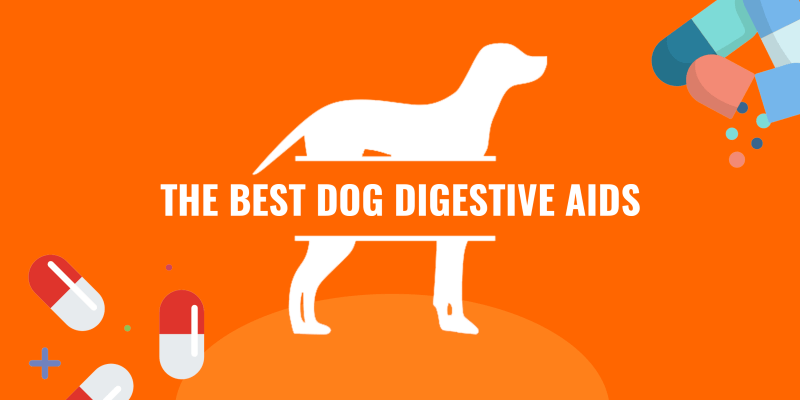 What do digestive aids for dogs do? What are the different types of dog digestive aids? 1. Why are pumpkin supplements good for canine digestion? 2. What is acidophilus for dogs? 3. 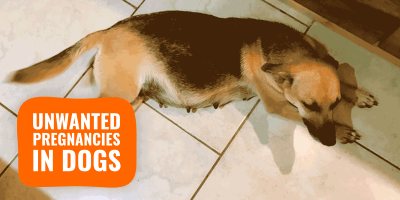 What is the best homemade dog digestive remedies? 4. What are the best ingredients to add to meals to promote a healthier digestive system in dogs? 5. Can dog digestive aids help with frequent diarrheas? Digestive aids for dogs help improve your pet’s gut microbiota and overall intestinal health. Supplements include probiotics, prebiotics, digestive enzymes, and vitamins. Most of the health supplement industry is nonsensical due to low standards of regulation from the FDA. While most intestinal supplements won’t hurt your dog, only a few will actually benefit your pet’s gut health. Additionally, each supplement type will have its own way of positively impacting the dog’s overall health. Make sure you read all of this article and browse our product reviews below. Dog digestive aids are designed to mimic the normal digestion and clean the digestive tract in dogs by use of various supplements. Such assistance is particularly needed when digestion has become perturbed or interrupted due to poor gastrointestinal health. The digestive system’s key role in the overall health is to absorb nutrients from food and assimilate them throughout the body for nourishment. The lack of intestinal motility and ability to break down particles of food to ensure cellular survival may be due to a wide range of causes and factors. 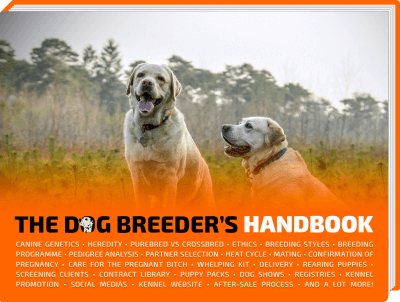 Understanding the cause of a dog’s digestive inconsistencies is ideal to know how to treat it. There are a number of effective intestinal aids for dogs on the market, all with their own function and role. Many common digestive problems include flatulence, diarrhea or constipation, nutritional deficiencies, and indigestion. If these problems aren’t fixed, they can lead to more serious health complications. Digestive supplements for dogs assist in strengthening your dog’s immune system. Over time, they help promote a healthier gut microbiota (interesting study here). Digestive aids for dogs provide unprecedented value to your dog’s life so it helps to know which of these helpful elements are needed for your dog’s overall improvement, as well as the role they each play. Dog digestive aids primarily work to help digestion through supplemental remedies such as probiotics, prebiotics, digestive enzymes, or other herbs to help soothe and support your dog’s overall gastrointestinal health and ensure firmer and overall better stools. Dog probiotics are live, active cultures and microorganisms that are generally found in certain foods and dietary supplements that assist the gastrointestinal tract by providing beneficial bacteria. This is the term used to describe the many beneficial bacteria and yeasts that reside in the gut. Just as there are bad bacteria, there is also good bacteria. The body needs these. Probiotics help fight off unwanted pathogens in the dog’s digestive tract and improve the functioning immune system. A good digestive aid for dogs would be one that thoroughly aids the natural function of the intestine, but also enhances its power. That’s what probiotics do. Often time, stress and illness will wipe out some of the beneficial gut flora and seriously wreak havoc on your dog’s overall health system. Probiotics for dogs are normally used during times of extreme stress, a bacterial imbalance or infection, old age, abrupt changes in the diet, parasites, or even some types of medications. These beneficial bacteria can be found in yogurt and kefir, capsules, in powder form, specialized dog foods, or chews. Always check ingredient lists and look for cultures like Lactobacillus acidophilus, Bifidobacterium lactis, Lactobacillus, and Bifidobacterium. They really work wonders on your dog’s digestion. Dog prebiotics are very similar to probiotics but still retain their unique function in the overall digestive system in dogs. Prebiotic fibers help clean the tract and bulk up the dog’s stools. These digestive aids for dogs are actually nondigestible food ingredients that benefit the organism by stimulating the growth of the beneficial bacteria in the gut. In other words, prebiotics nourish the probiotics, therefore, they actually work hand in hand to ensure optimum digestion and health. These are a type of fermentable and soluble fiber and when combined with probiotics in a given supplement or food they are termed “symbiotic”. Due to the fact they work in a synergetic relationship with probiotics, prebiotics for dogs promote viable bacteria to grow in the gut and ensure proper digestion, thus, leading to less risk of disease, enhancing the immune system, and also assisting in nutrient absorption. 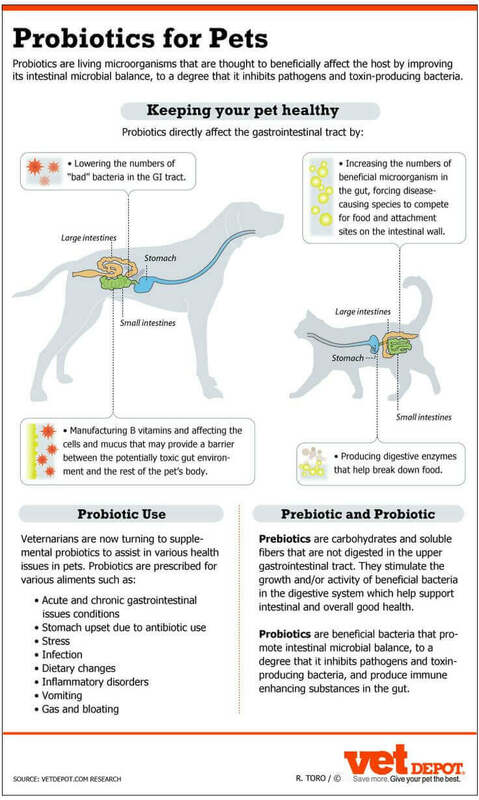 Dogs fed a regular diet of prebiotics tend to suffer less from diarrhea as the soluble fiber absorbs water and slows down the gastrointestinal transit. 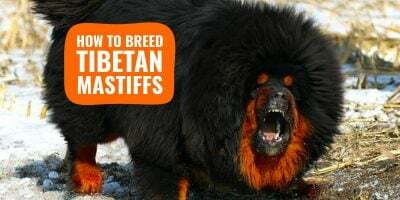 In the colon, they are fermented by the bacteria into short-chain fatty acids and are great for dogs who have undergone intense antibiotic therapy as well as reducing the risk of irritable bowel disorders and colon cancer. Digestive enzymes for dogs are a group of macromolecular biological catalysts that help break down foods in the dog’s digestive tract to facilitate more complete absorption of the nutrients eaten. Digestive enzymes are special proteins that are responsible for an array of functions in the body. There are three main digestive enzymes in a canine’s body. The Protease enzyme helps break down proteins into the amino acids. The Lipase enzyme assists in breaking down fat into glycerol and fatty acids. And the Amylase enzyme breaks down the carbohydrates into sugar. Most dog health supplement manufacturers are small so they try to tackle a very niched-down problem to avoid competing directly against the giant corporations. Most of these enzymes are produced in the pancreas and then get distributed into the small intestine. From here, the breakdown proceeds and the particles are then used for cell production and fuel. 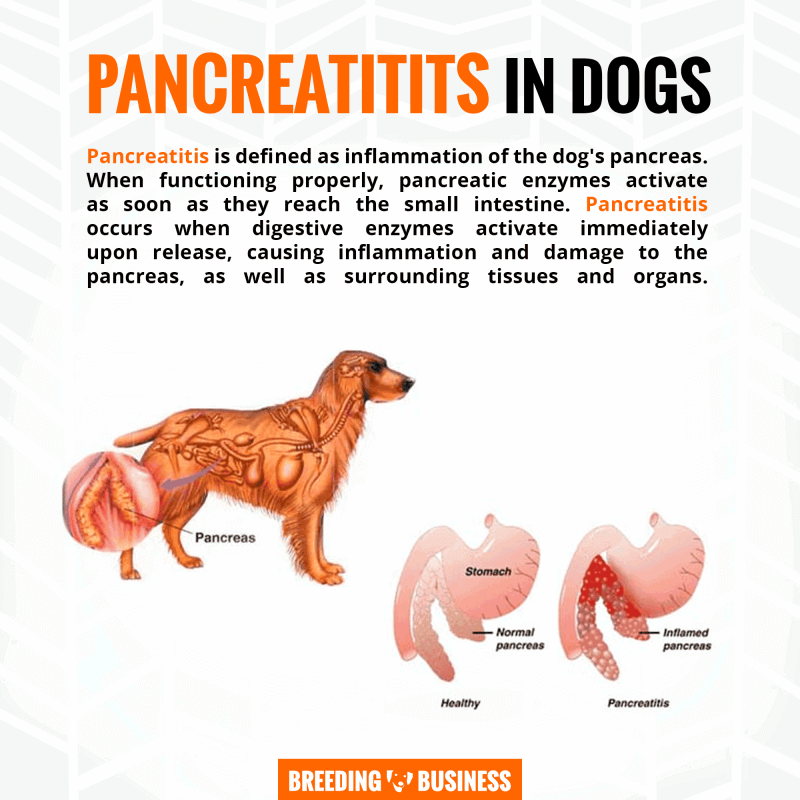 Pancreatic enzymes for dogs help the body break down fats, carbohydrates, and proteins. Some foods are often replete with digestive enzymes as well such as the beta-amylase in fruit. In addition, enzymes work to support the immune system, remove bodily toxins and waste, helps regulate hormones, slow the rate of aging, and even reduce inflammation. These functions are all maintained with the added help of coenzymes, vitamins, and minerals. Without enzymes, the body would naturally cease to function properly and the body would suffer from nutritional deficiency as well as enzyme deficiency. Digestive aids for dogs come in various shapes, sizes, and varieties and it doesn’t stop here. In addition to the probiotics, prebiotics, and enzymes that are normally revered for digestive support, vitamins play an important role. Dog digestive aids in the form of vitamins can come from foods such as those which are found in dog dry foods and canned, additional supplements, or be given in liquid form depending on your preferences and whether or not your dog is ingesting them without issues. Vitamins are very crucial as they serve as digestive co-factors in a dog’s diet. These co-factors are required for enzymes to function properly. One important vitamin to consider is the B12 which aids greatly in digestion. If your dog’s diet is not providing a sufficient amount of nutritional value then it’s up to you to administer vitamins so that they can benefit greatly from these supplements. These can be in the form of a multi-vitamin as most of the vital elements are produced in one serving. It’s rather difficult to fulfill all your dog’s micronutrient needs, in this way, a multivitamin can serve to fill the void. Moreover, another great idea is to look around for herbal remedies. Herbal supplements are more natural and provide an easier transit in your dog’s digestive system as they are less aggressive. For dogs to have a healthy digestive system, their diet should contain highly-digestible nutrients, minerals, vitamins, and trace elements. Because it is hard for most dog owners to provide everything a dog needs from their diet, using digestive aids makes sense. However, just like dog food manufacturers, supplement brands tend to overpromise and underdeliver. We’ve handpicked the below top 5 best digestive supplements for dogs based on personal experiences, so you can trust us! The VetriScience Laboratories digestive aid for dogs is a potent, mega probiotic and prebiotic compound built to give your dog’s intestinal tract what it’s intended for. This non-dairy formula is built with a wide range of microorganisms for optimum digestion. This digestive support bottle comes with 120 capsules, each containing 5 billion microorganisms. It’s packed with the Fructooligosaccharides (FOS) prebiotic to ensure maximum gut activity. VetriScience makes its products for both dogs and cats alike and the Mega Pro can be used for any weight range or breed. It’s a fact that lack of intestinal stability and health can lead to an array of problems that affect other organs in the process. The digestion gets slow and that’s why Mega Pro is so unique in its formula. 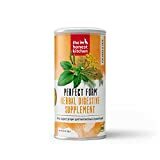 Designed to ultimately normalize the digestion, these supplements are created for dogs who tend to suffer from weak digestion and other stomach ailments such as allergies and food sensitivities. It also aids in gastrointestinal issues related to flatulence, constipation, or diarrhea. Capsules can easily be hidden in their treats or sprinkled in food. Probiotics aid to increase the good bacteria in the gut as well as reduce any overgrowth of bad bacteria. The VetriScience contains 8 different strains per each capsule. 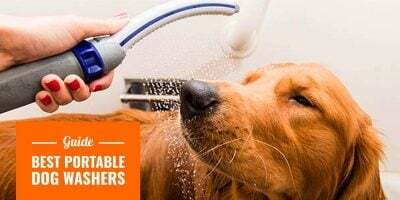 The beneficial mix of Bifidobacteria, Lactobacilli, and Streptococcus thermophilus has earned high ratings with the consumers claiming their dogs have literally been saved and symptoms are completely eradicated. It even helped one dog recover from Parvo. This supplement does not seem to have a similar appeal in cats. Digestive remedies for dogs starts with the right diet supplement, and with so many sold in stores, it’s difficult to make that choice. Pumpkin has always been known to be a top digestive aid for dogs due to its natural vitamins. With the Diggin Your Dog supplement you get an all-natural benefit which includes 100% grown, harvested, made and packaged to support optimum health. Made in the USA, this pumpkin supplement firms up and helps soften the stool and keep it consistent. Your pet’s bowel function is guaranteed to work regularly. If your dog is in a transition phase from switching to another food, Diggin works sufficiently well and allows an easier change as well as provide the necessary fiber. It’s 100% free of pesticides and GMOs and is exempt from all fillers and pesticides. Additionally, the extra antioxidants from the apple pectin give it a wonderful boost in digestive remedies for dogs. With 40% crude fiber, this pumpkin supplement for your dog is not only great, but it’s easy to travel with and makes a great, easy meal. Just add water depending on your desired amount. This is a supplement in which there is no waste; just simply use as much as you need and save the rest for later. You can also sprinkle some of the powder onto your dog’s dry food. Users love this brand as it helps firm up their pet’s stools and has kept them regular since use. The Honest Kitchen now makes some of the top-quality and herbal dog supplements on today’s market thanks to their innovative creativity in making their own dog food from scratch. At least that’s how it started. Taking whole food and dehydrating it became the base of their widespread brand. This brand is known for designing dog food in a human-grade, meaning it’s good for human consumption as well. These revolutionary, herbal supplements aim to treat gastrointestinal discomforts and irregularity due to gas, diet transitions, or environmental stresses. Honest Kitchen supplement products can be used for long-term without losing its efficacy. Made in the USA, none of the ingredients are from China. This all-natural, wholesome product contains no GMOs, by-products, or preservatives and has been approved by the National Animal Supplement Council (NASC). Containing no soy, wheat, or corn, the Honest Kitchen is made with some of the best dog digestive remedies including slippery elm, pumpkin seed, papain, and papaya leaf to ensure and sooth smoother digestion. To administer to your pet, just mix in the desired amount with a bit of water until it reaches a gel-like consistency, two times per day. This supplement has even been known to work for cats that suffer from inflammatory bowel disease (IBD). Buyers who have been using the Honest Kitchen supplements can’t believe how strong and effective it is, claiming that their dog’s conditions are instantly improved. It has treated various stomach ailments including acute digestive disorders and loose stools. Digestive enzymes for dogs are a wonderful way to support dog digestion as they are solely responsible for the systematic breakdown of food and nutrients. 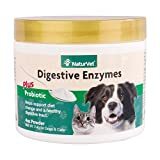 The NaturVet Digestive Enzymes have the added benefit of probiotics which gives this supplement a real gastrointestinal boost. The enzymes help break down the food for easier vitamin utilization. This powder specially made for both dogs and cats is made with alpha-Amylase to help hydrolyze the starches and provides an excellent source of protease which hydrolyzes the proteins. In addition, the added cellulase in this enzyme easily breaks down cellulose and triglycerides are also hydrolyzed by the lipase. Made in the USA and with a money-back guarantee, the NaturVet Digestive Enzymes is designed for animals over the age of 6 weeks. It is a great resource for transitioning pets suffering from flatulence and sensitive stomachs. NaturVet products are all veterinarian manufactured and approved in the US inside an FDA-audited facility. Just simply add ¼ teaspoon of the enzyme powder into one cup of your dog or cat’s dry or wet food per every feeding. In response to several questions regarding the use of the product, it is not recommended these supplements be baked into the food. 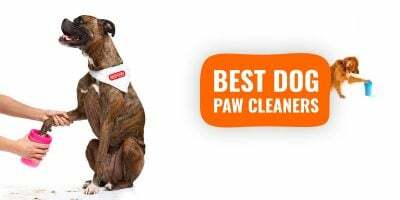 Buyers who have bought this product for rescue dogs say it helps them incredibly as they no longer had to worry about extravagant vet bills. Being a vet-recommended probiotics and enzymes blend, this brand has helped dogs who previously had to give up hard food due to stomach ailments but after use are back to normal. Although, quite a few buyers complained that the seal was broken and caused diarrhea. This canine nutritional supplement for healthy gut made by Purina contains more than just one health benefit. It’s actually packed with antioxidants and vitamins. 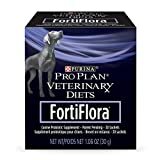 The Purina Fortiflora is a USA-imported and made a product that promotes your dog’s immune system. With a generous level of important vitamins including vitamins A, C, and E, this makes the top of the list as a well-rounded, complete, nutritional supplement. However, its main ingredient which provides much of its potent digestive action is the plethora of live active cultures. These beneficial microorganisms are specially designed to reduce episodes of diarrhea that are commonly caused by food changes, antibiotic therapy, or environmental stresses. Regular use of this multi-action intestinal aid has been known to reduce an array of stomach upsets and buyers claim their dog’s diarrhea has certainly improved in comparison to other products. It has worked extremely well with a Great Dane who suffered from chronic stomach issues. It has even worked well with younger puppies. Others have complained of the price and short expiration date in some instances. Don’t worry if you are somewhat confused by all these different products available on the marketplace these days. Most dog health supplement manufacturers are small so they try to tackle a very niched-down problem to avoid competing directly against the giant corporations. This created a very fragmented offering, but it also gives you a lot of choices! Here are the answers to your most frequently asked questions about dog digestive aids! Pumpkin supplements are a wonderful dog digestive aid due to their nutritional fiber content and their ability to soothe an upset stomach, constipation, and diarrhea. Using pumpkin as a fiber supplement will aid in bulking dog’s stools as the flesh of the pumpkin contains a substantial amount of soluble fiber. Pumpkin supplements are a reliable source of Vitamins A and C, Potassium, Zinc, and Beta Carotene. Pumpkin is also great for weight-loss in dogs as the fiber creates fullness, so if your dog has a weight problem, substitute some of his food with pumpkin. Always go for the flesh of the fresh pumpkin, or pumpkin seeds for safety. Canned pumpkin is always a great alternative as well but will embed less beneficial properties. Acidophilus for dogs is a probiotic often sold as a dietary supplement. It is a good bacterium for a dog’s digestive tract. Acidophilus has different strains, however, the probiotic that is the most beneficial for dogs is not always the same that is good for humans. Always seek out a probiotic that is designed just for dogs. The common name for this probiotic is Lactobacillus Acidophilus. These live, active cultures in your dog’s gut work to aid a smoother digestion and provide vitamins and minerals. Stress, disease, and the overuse of antibiotics disrupt the natural gut flora in the gastrointestinal tract and can cause an array of health problems if not kept in check. That’s why having a high-quality acidophilus probiotic is crucial for your dog’s digestive health. Anything that can be mashed, yet palatable, is great for your dog’s digestion. Foods high in fat can cause inflammation in the pancreas. The key is to stick to a bland diet with no spices or frills! Most homemade dog digestive remedies include pumpkin in their recipe. You can mash, cook, or puree fresh pumpkin for your dog for a great source of fiber. You can also serve mashed potatoes or rice, lean chicken, and meats that are boneless and skinless with no fat trimmings. Additionally, natural yogurt is a great way to introduce beneficial bacteria into a dog’s gut. These ingredients are the perfect dietary aids to get your dog’s digestion working in optimum shape and keep his overall health in check. The pumpkin and vegetable sources will add vitamins and fiber to your dog’s diet. Try to aim for leafy greens as they are the best. Meats should be lean and free of fat as to not upset the stomach. Always make sure the chicken meat is either boiled or steamed as opposed to frying and baking. Yes, digestive aids for dogs are designed to bulk up loose stools and clean out the digestive tract. The fibers found in many digestive supplements work in regulating the consistency of stools and relieve both constipation and diarrhea. Digestive enzymes in particular aim to break down undigested material in the gut for easier breaking down. Probiotics help with diarrhea by re-balancing the healthy gut flora and providing loads of healthy live cultures and bacteria that your dog’s gastrointestinal tract needs and craves. Vitamins, herbal supplements, and prebiotics all assist these enzymes and aids in allowing them to function more properly and more effectively. Therefore, they all work together for the same goal.